Interested in becoming a Golden Bear? Please fill out the questionaire. Kubara, an import from Australia, was very excited about next fall and praised the help that Albertus gave him during the process. 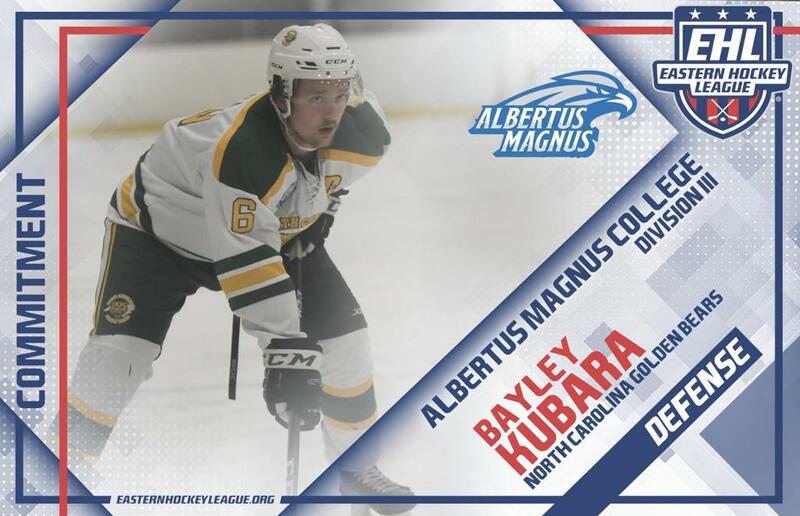 Albertus inaugural season will be 2019-20 and they are putting together a solid team with many EHL products already committed. The veteran defenseman is the first college commit for the Golden Bears and a fitting one as well. Kubara, coming off a championship season in his native Australian hockey league, brought instant leadership to the first year club. The only player on the team with previous EHL experience he guided the Bears through a tough first season keeping the players focused. “You could always count on him to be steady and calm no matter what the situation” Said Head Coach Brent Selman of Kubara. “He was the perfect leadership for the young club”. Kubara , the Golden Bears first Captain, had 2 goals and 13 assists in 34 games. ©2019 Golden Bears / SportsEngine. All Rights Reserved.